Campari has released the official trailer for the short movie Killer in Red, directed by Paolo Sorrentino, part of the 2017 Campari Red Diaries campaign, which celebrates cocktails as a form of art. With Caroline Tilette and Golden Globe award-winning Clive Owen in the leading roles, the film launched by the iconic red Italian bittersweet apéritif tells a series of cocktail stories from across the globe, twelve more precisely, which bring to life the artistry and flair of bartenders from all over the world and introduce viewers to the magic behind the creation of each Campari cocktail. 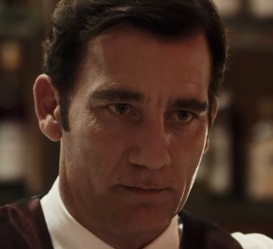 The trailer begins with Tilette’s voice asking Owen, who is a bartender, if it’s true that “cocktails express people’s destiny” and “predict the future”. “Is that what they say”, answers the latter. The promo features young women dancing in a crowded club, Tilette in a revealing red dress with cleavage accompanying a much older bald, spectacled man, who goes to the bar and has a mysterious conversation with the bartender. He asks her “So how many chances do we have?” and she answers “In this case, two: one sweet and one bitter”. “Just like this cocktail”, replies the bartender (Owen) looking straight into her eyes. At the end of the trailer, viewers are informed about the possibility to watch the full movie on the brand’s official YouTube channel.